Being a stay-at-home parent isn't easy. It is a place where the bon-bons never got delivered (because you found out you have to buy them and it's not in the budget) and you are needed to constantly do things for other people all day long. Until one day, if things go the way you hope, you are not. And then, the exhaustion changes over to tears because you weren't really ready for it to end. Since I have already done this once with my son, I try to remember to embrace what I can because I was so ready for it all to end the first time, that I didn't stop to really soak in the time I got to spend with him. And my girl is getting big. She tells us all. the. time. I'M A BIG GIRL MOMMA! I CAN DO IT MYSELF! 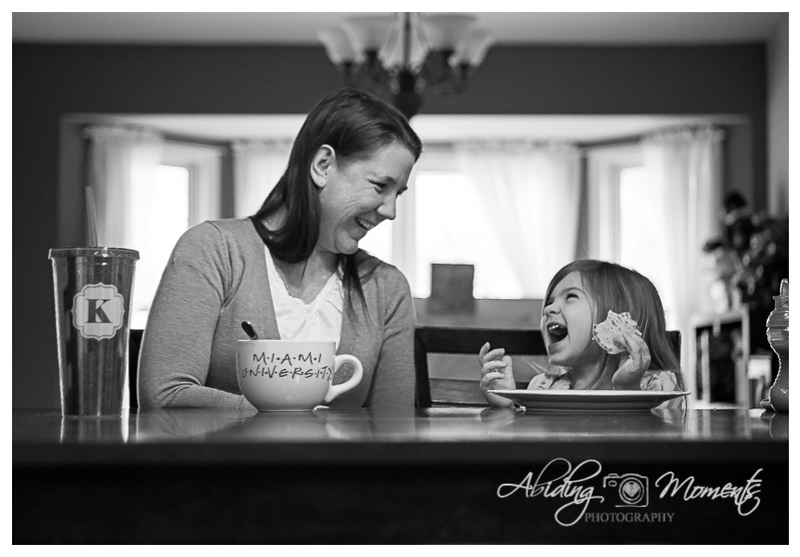 And while her independence is definitely a good thing (I am pretty sure I know exactly where she gets it), it can also sometimes make a Momma's heart take pause. So, before our daily lunch dates change too much more and she is making MY lunch, I wanted to make sure to catch it all. 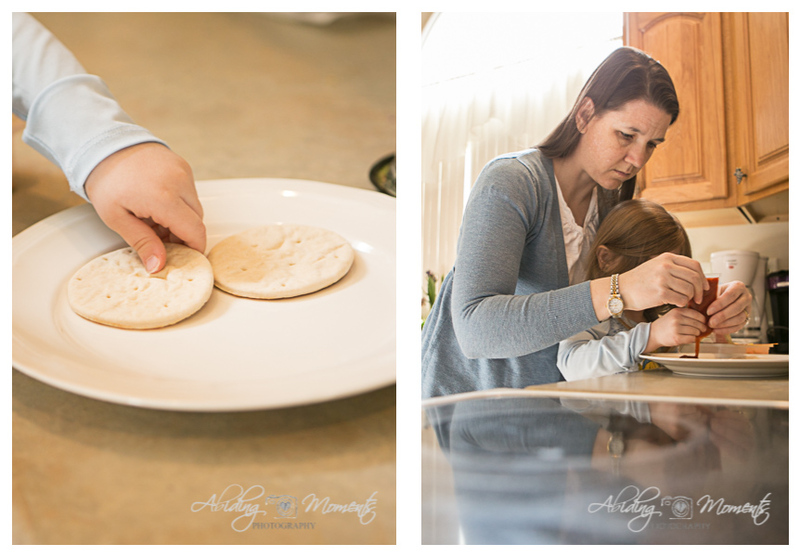 Her still little fingers placing the pizzas in a circle and Momma being allowed to help with that tricky little sauce packet. 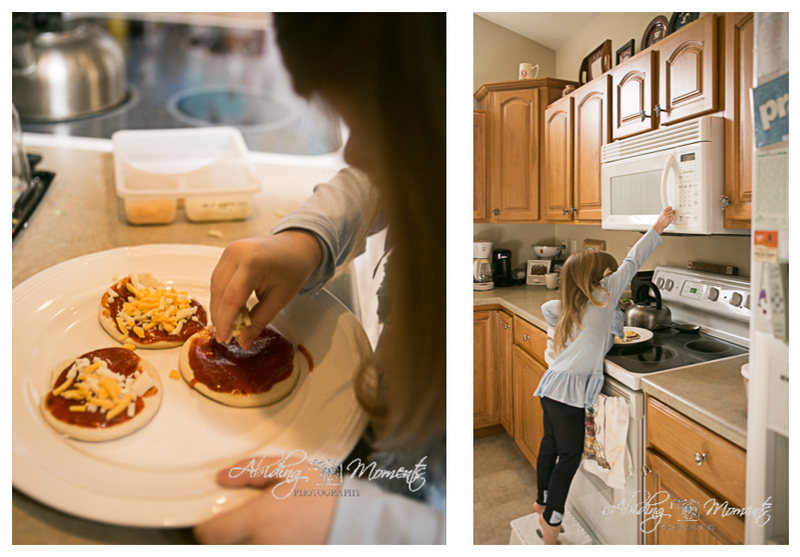 The delicate way she sprinkles the cheese and how when she insists she can reach that microwave door, it means she is using a stool, on her tippy toes, stretching as far as she can go.